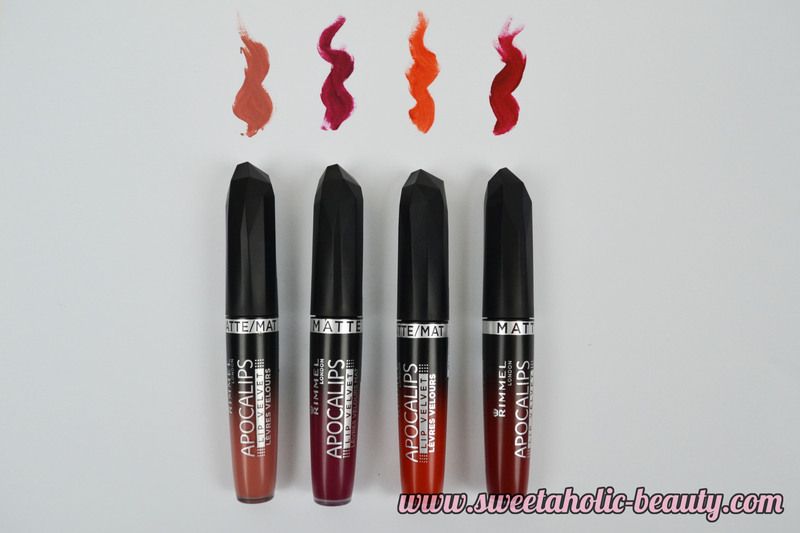 I received the four shades released in Australia; Atomic Rose, Meteorite Matte, Orange-ology, and Burning Lava. I commend Rimmel London on the name shades and keeping in line with the original theme of space. I'm unsure if other countries had different shade releases, but at this stage I don't believe so. Atomic Rose, Meteorite Matte, Orange-ology, and Burning Lava. I was surprised to find that I actually fell in love with all four shades. If I had to pick a favourite, it would be Atomic Rose, only because it's not as bright as the others and is so much easier to work to work or somewhere casual. I find that with different lighting, the shades can look very different. For example, the first set of swatches was taken with natural light, and the colours appear more vibrant, while the lip swatches were taken with artificial lights, which tend to wash the brightness out a little bit. In terms of application, I found them as easy as the originals. Being that this was supposed to be a matte formula, I was delighted to find that it was not a true matte formula. I figured that a lot of beauty lovers might be a bit miffed at the idea of it not being a true matte lipstick, but I was okay with this. When you applied it, it went on looking matte, but still felt like a nourishing lipstick. I could move my lips without any dryness, and the colours did not cling to patches on my lips. It looked semi-matte, but certainly didn't feel that way. 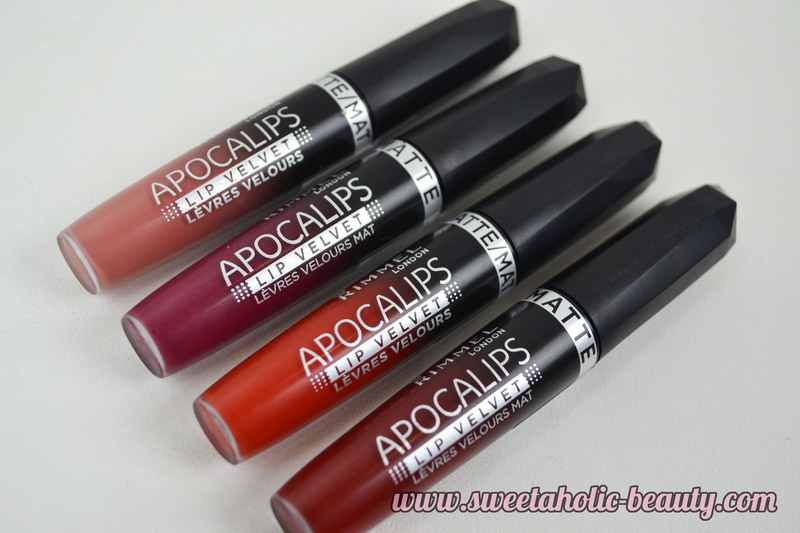 I'm really impressed with the Rimmel London Apocalips Lip Velvet Matte Lips. Being a fan of the originals, I have to say that these actually exceeded my expectations. I was expecting a usual matte lip, nothing to get too excited about, but I was wrong. Well done Rimmel London for stepping away from the tradition matte lip and making it your own. I know a lot of people who have fallen in love with the formula (and granted, a lot of people who don't like it) so it seems as though this range is much like the original in that you either love it or hate it. I, personally, love it. 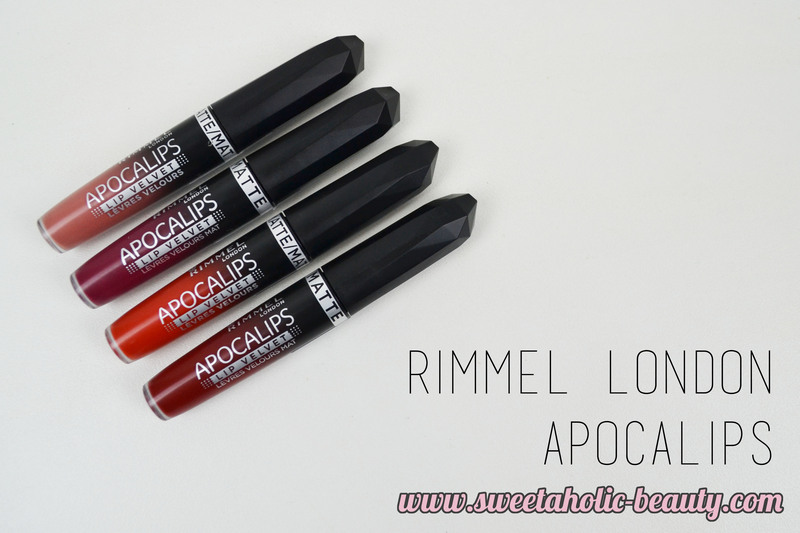 Have you tried the new Rimmel London Apocalips Lip Velvet Matte Lips yet? If so, what are your thoughts? Which shade is your favourite? Which shades do you think they should release next? Great post none-the-less <3 I love the Atomic Rose colour on you! Argh yes I agree, there is no way it's an eight hour lippie! Two hours is probably a good time frame to give these ones! What a great name for a lippy!! Loving the deep red colour! 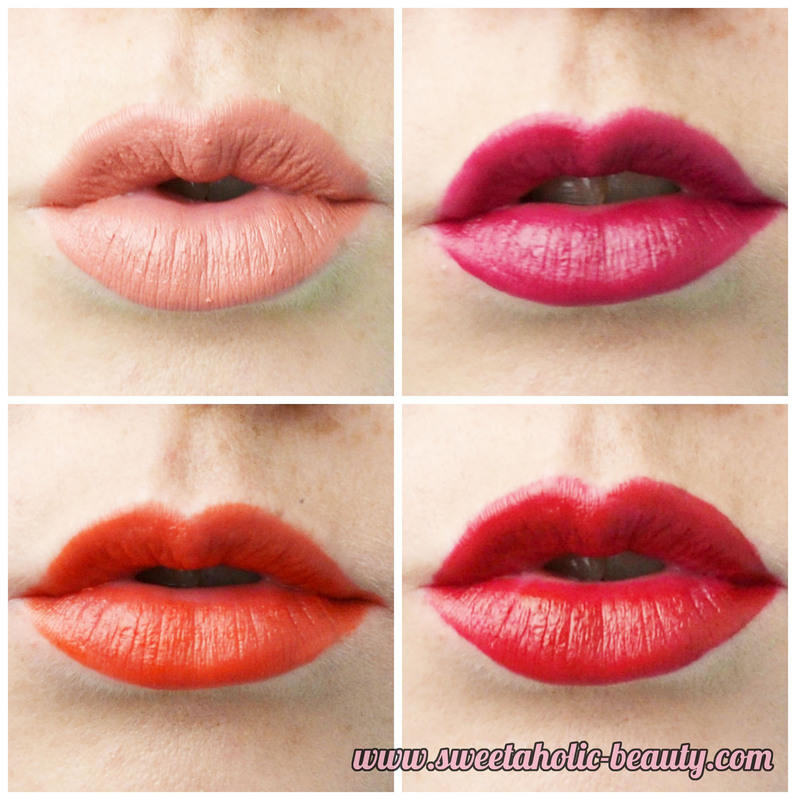 These matte lipstick are divine! Orange-ology, I'm in love! Very wearable colours! Very pretty. I love the three I have because they feel so comfortable. 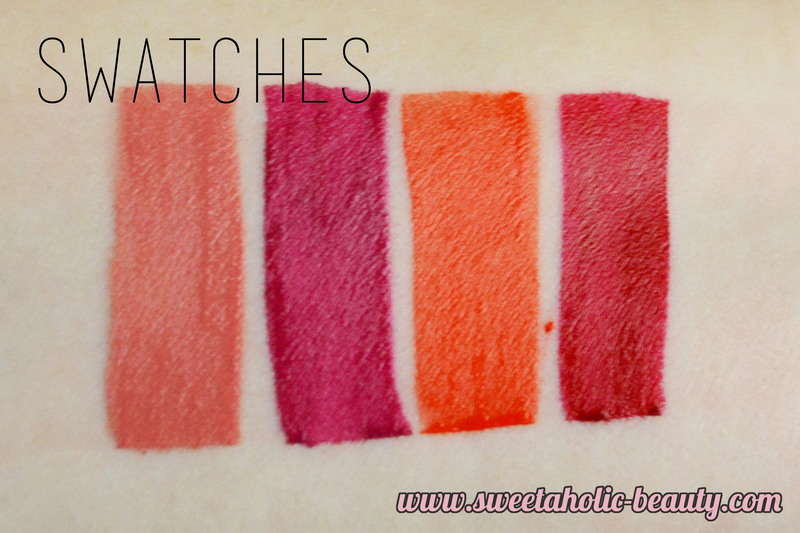 Seeing the swatch of Orange-ology I can see that I NEED it to complete the collection! These are so freaking beautifullll! I just bought a whole heap of new lipsticks that I didn't need and yet I'm STILL tempted. Gagh! I didn't even know they had this matte range available. I love all of these four colour shades! These look so good and the shades are gorgeous!! Got to try them out!